When I saw the Brave trailer a few months ago, I was honestly very disappointed. I realized Merida's character design was beautiful, especially her hair and the change in the generic facial structure of disney/pixar characters, but besides her, the other characters resembled the characters from How to train your dragon. A lot. Sure, they were scottish with the skirts and the accents, but the features and the designs looked as different as those in HTTYD when it released. Also I was not too happy with Pixar making princess movies. All those pre-judgements kept aside, I went into the theatre to be overjoyed with the film. There are a countless number of things I loved about it. The first thing I would say is the storyboarding. Everything was so well choreographed! 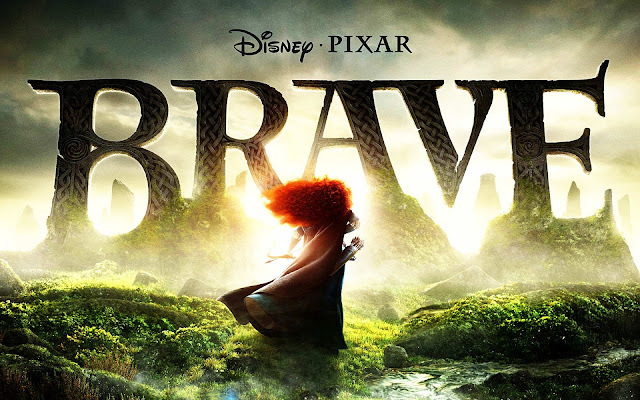 The introduction of the immense Scottish highlands, the castle and its grasslands, the woods, the character actions really helps the audience follow the story. It created a mystery throughout the film. Coming to the story, a lot is always expected from a studio like Pixar which has created and brought us films like Ratatouille, Toy Story, Wall-E, Monsters Inc., Finding Nemo and Up. So, naturally we expect nothing but excellence. The story was usual until half of it was over - you expect a prince to come in somewhere, but there is no prince. There is no clichéd romance, instead a very unspoken relationship between Merida and her mother is suggested. As far as design is concerned, a lot more could be explored, but since it worked, there was no need for that! All the character designs shouted out the personalities of the characters! The parents, the brothers, and even the stupid princes and their fathers! I was so glad the horse didn't look Disneyish. Also, I absolutely loved the Score and the songs sung - they really brought in another dimension to the film. There're no second thoughts about this - all the gags and the acting is extremely well done and believable. 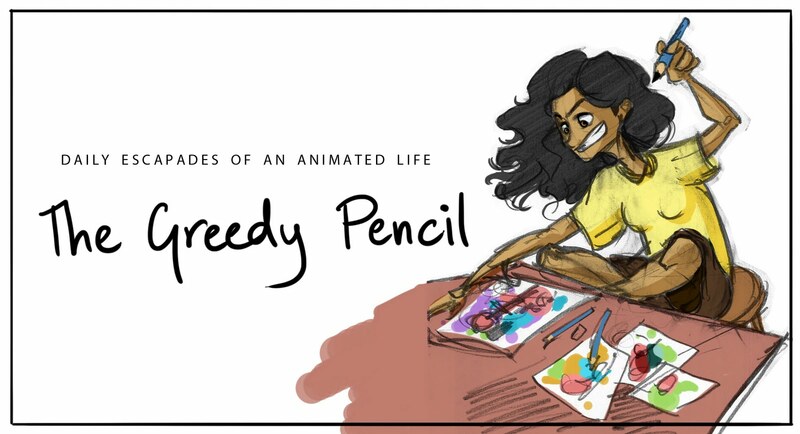 We can expect nothing less from Pixar animators! What I didn't understand is the core of the film. Was it about choosing/changing your fate, about her relationship with her mother or about accepting each other for who we are? If there was emphasis on one particular subject then the audience could have taken back something. Since the core is unclear, we take back bits and pieces. We are entertained, but it doesn't touch our heart and stay with us. Also initially the scottish accent was very distracting and at times changed the tone of the film. A lot of critiques mentioned that this film didn't have a specific target audience - well, I cannot understand why there should be one as a rule! This film is enjoyed by all age groups. So is a film like 'Up'. 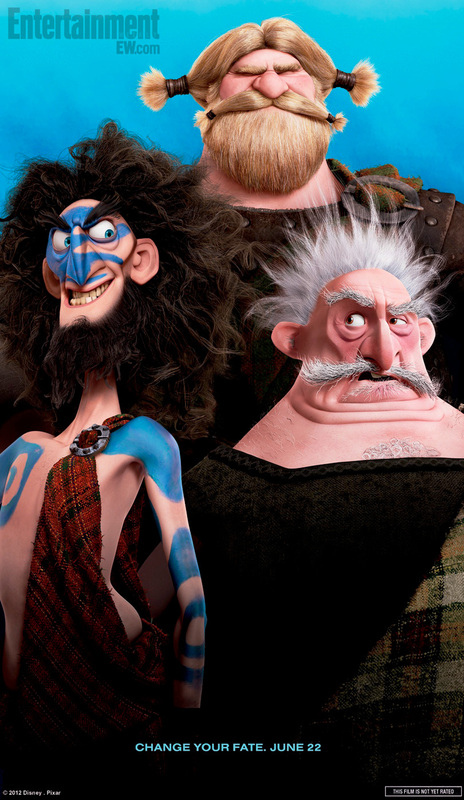 I guess that's all I have to say about Brave. I thoroughly enjoyed every second of it and hats off to all the talent and the effort put in! Loved the story, the gags, the action and the emotion. I actually cried at the climax. :'( (yes I am an emotional individual) Go for it guys!